While my mom was visiting, I was lucky enough to receive an early birthday present (1.5 month countdown - holler!). 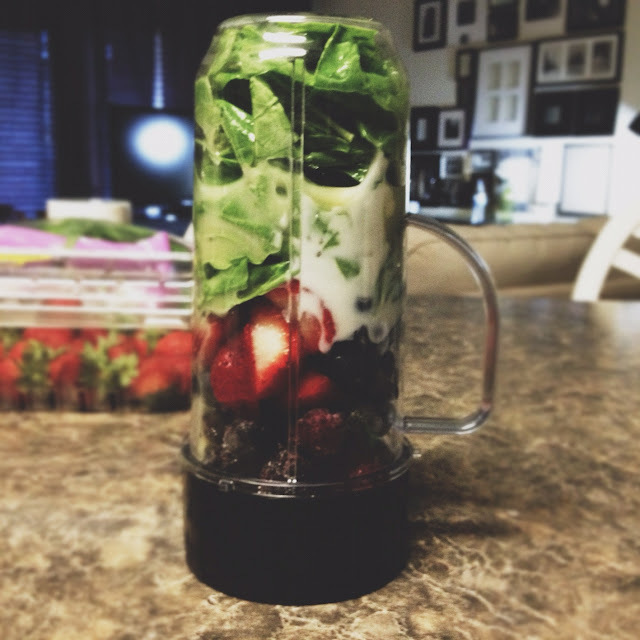 I've been watching infomercials about the Magic Bullet for as long as I can remember. The commercials are always so tempting, but who really knows if those things are going to work? The bullet was highly recommended by friends & colleagues as the best and most convenient way to make smoothies, and of course margaritas. So we went for it. I haven't had a blending device since living on my own, so the past 6 days of smoothies for breakfast have been absolute bliss. I'm sure there are about a bazillion different combinations you can make, but my go to is the recipe below. And if anyone's in the market for a magic bullet - buy the one from Costco, not Bed, Bath & Beyond. You get way more gadgets and extras for a lower price. Score. - Drink. Murmur "mmm!" after each sip. 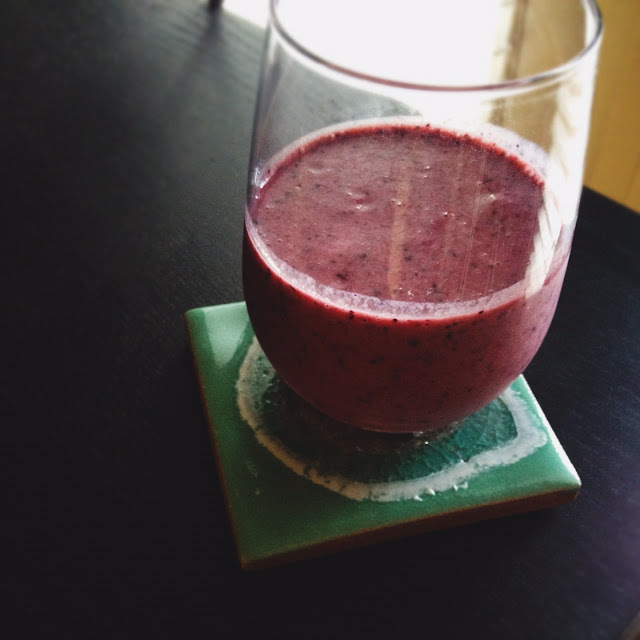 - Get really excited that your smoothie was only 235 calories, and you'll be full for hours. Thanks! I'm glad you found me, I'll definitely check out your blog!